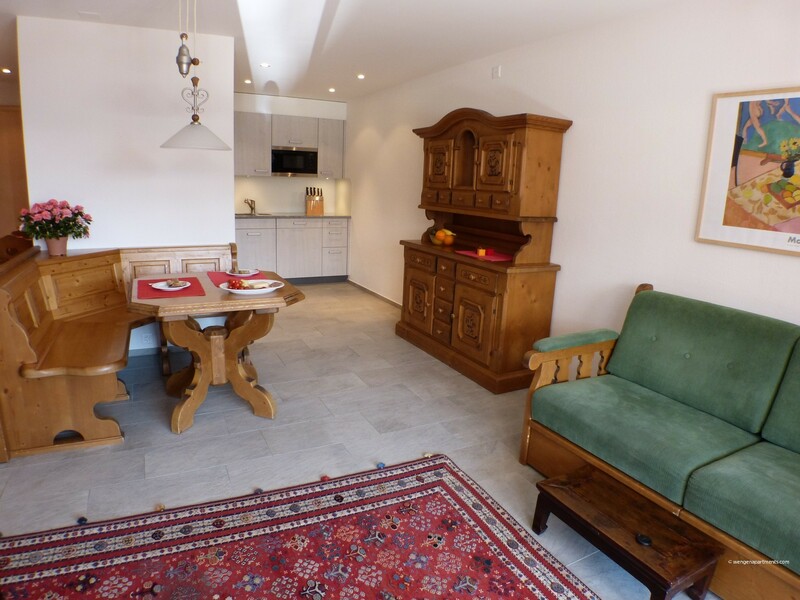 Chalet Bella Vista 6 is a 2nd floor 1 bedroom apartment in this recently built chalet which is comfortably furnished and decorated in traditional Swiss style. 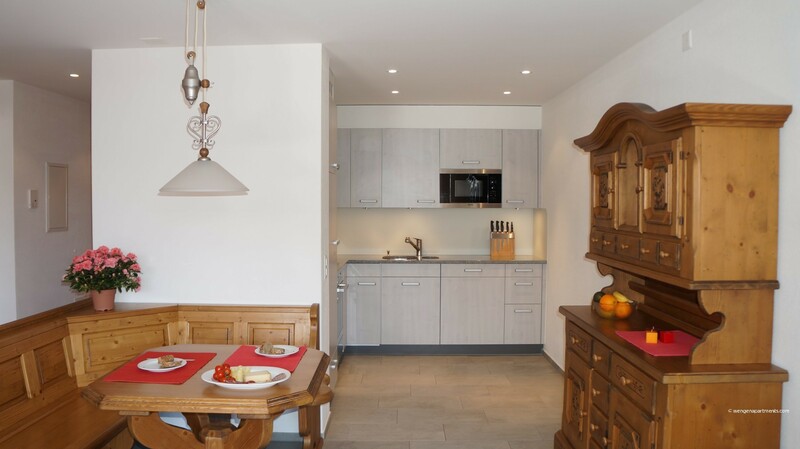 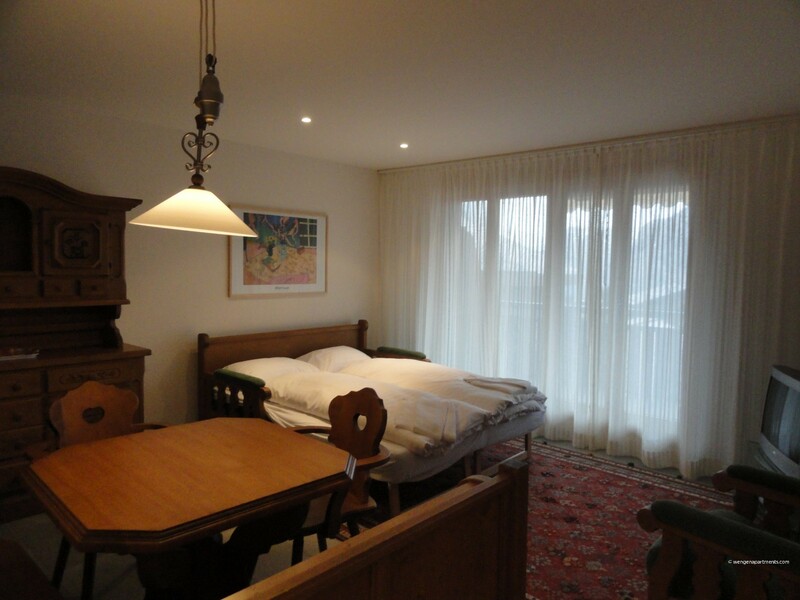 One of our most conveniently located apartments, it’s just a 200 metre walk to the centre of the family-friendly “car-free” village of Wengen. 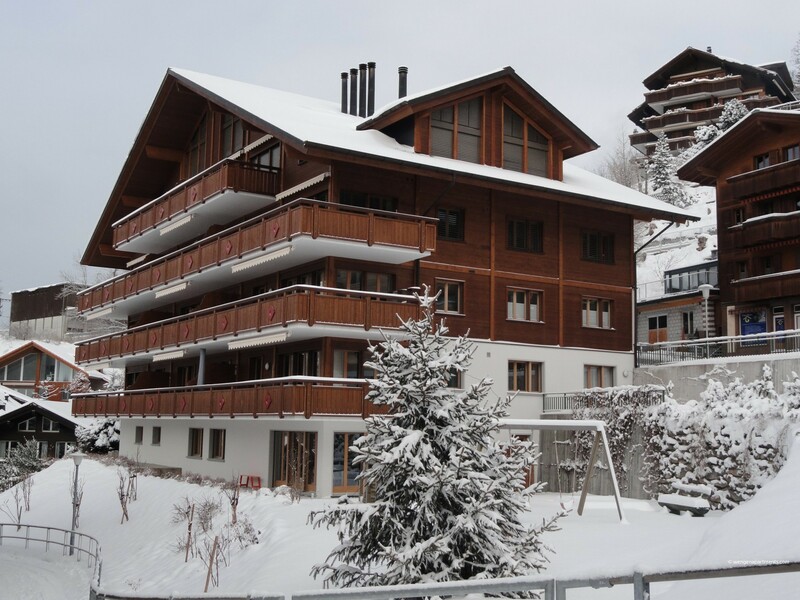 Apartment location - being just 200 metres walk down hill from the train station, 150 metres to the nearest supermarket and 300 metres to the cable car and nursery ski slopes, mountain hiking trails and ski areas are are just a few steps away! 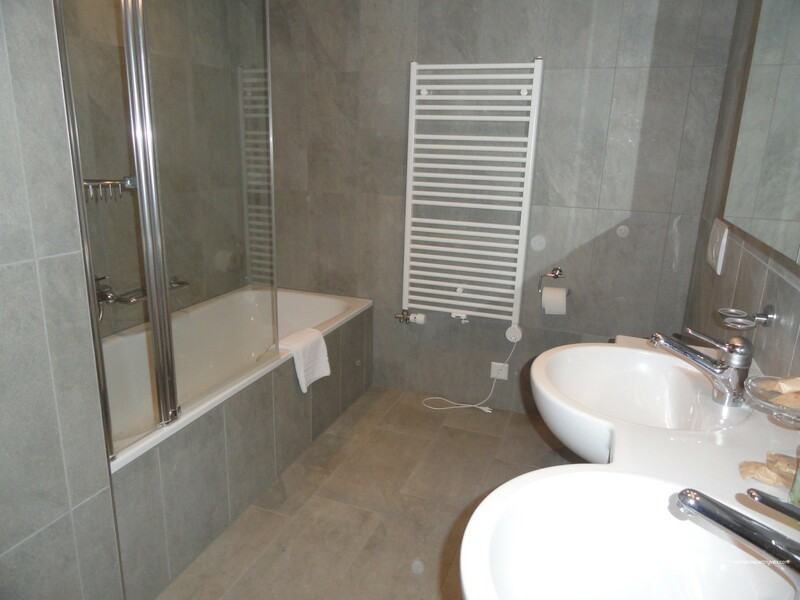 There is even a lift to get you to all floors! 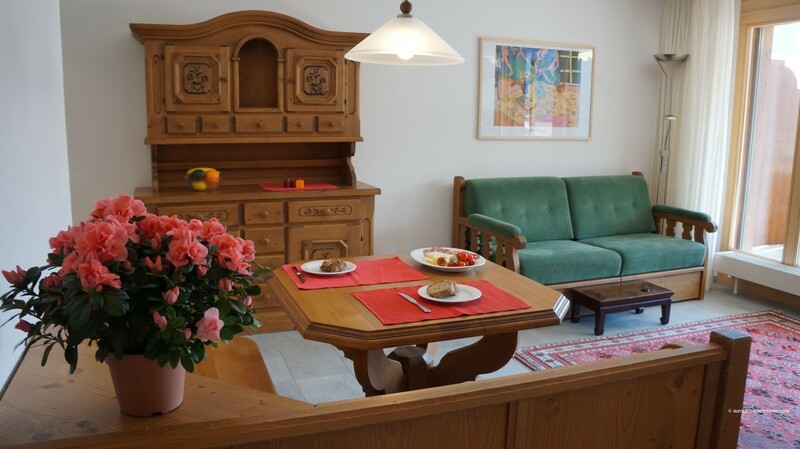 This apartment is immaculate and has all the amenities a small family or couple needs on holiday. 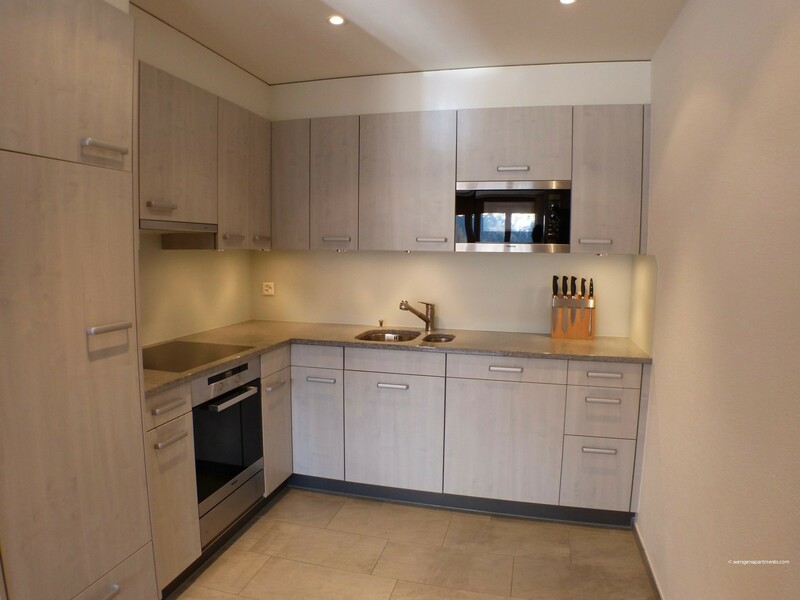 A very well equipped modern kitchen with dishwasher, free WiFi, TV & DVD player, and a contemporary spacious bathroom with double basins and WC - this apartment is cosy and welcoming! 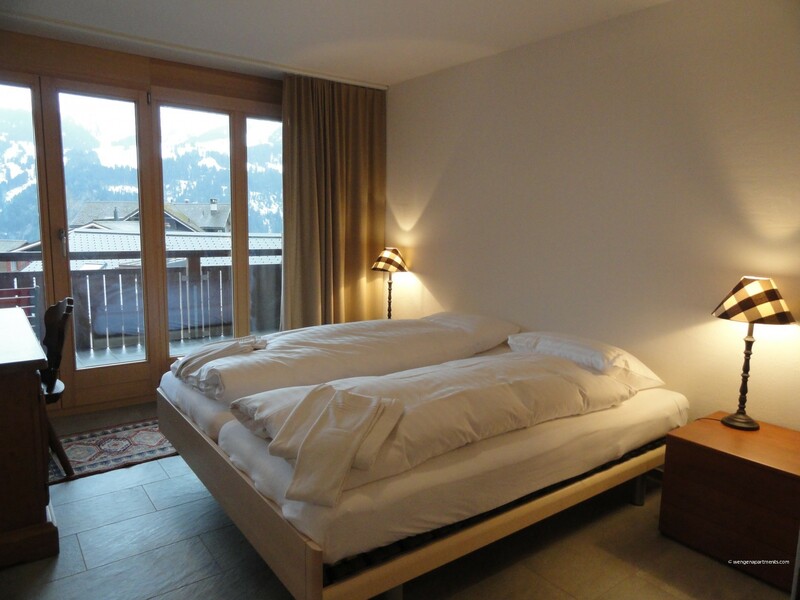 The sunny west-facing balcony provides the perfect vantage point to truly appreciate the stunning mountain vistas! 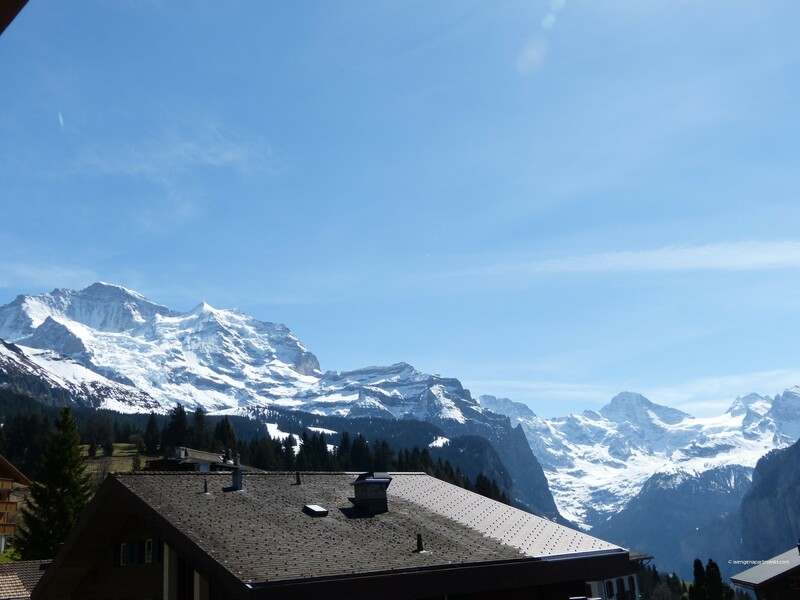 The views down the Lauterbrunnen Valley towards the Breithorn mountain seem to go on forever! 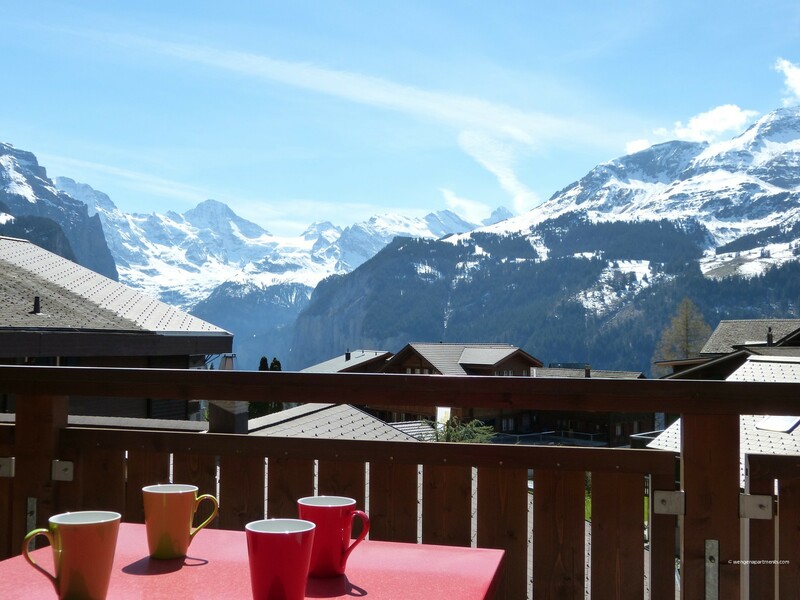 It is nothing short of breathtaking!! 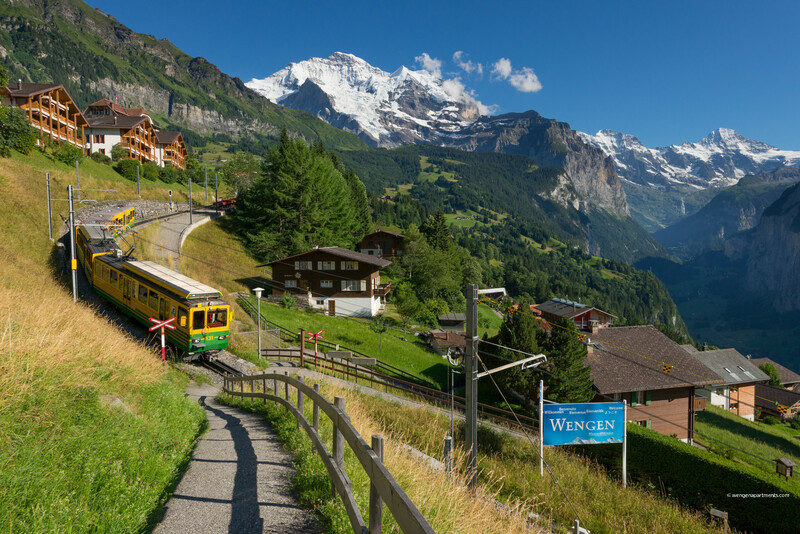 To top it off, you have the added convenience of being only a three-minute walk to the centre of Wengen and it’s train station. 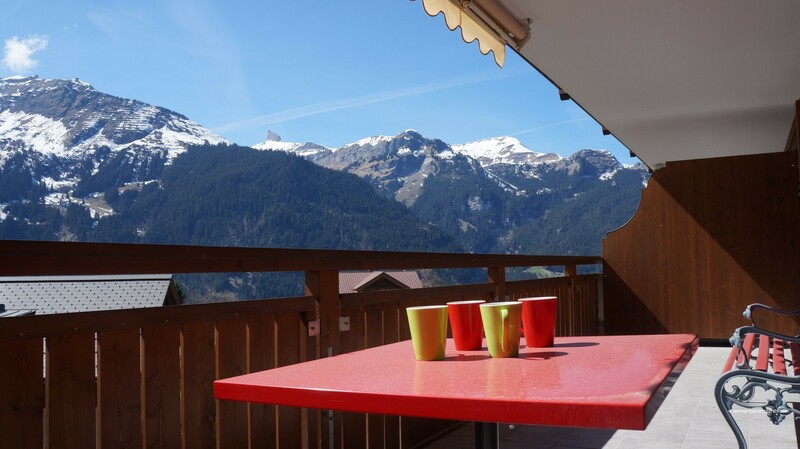 Bella Vista 6 is an ideal choice for the guest who is looking for a quality, well-appointed apartment in an excellent location, with impressive mountain views - all at a budget- friendly price! 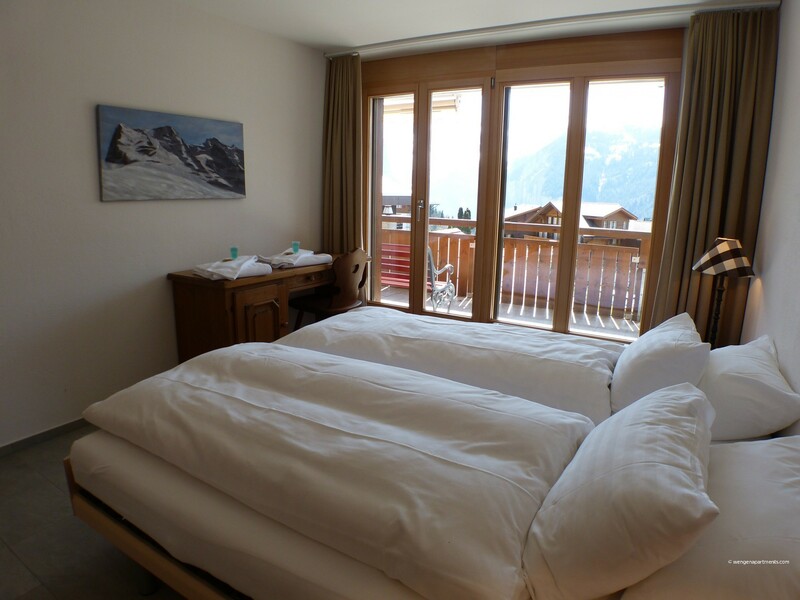 There is the added convenience of a heated ski & boot room to keep your equipment warm and dry as well as the use of a washing machine and tumble-dryer in the chalet’s communal laundry room. 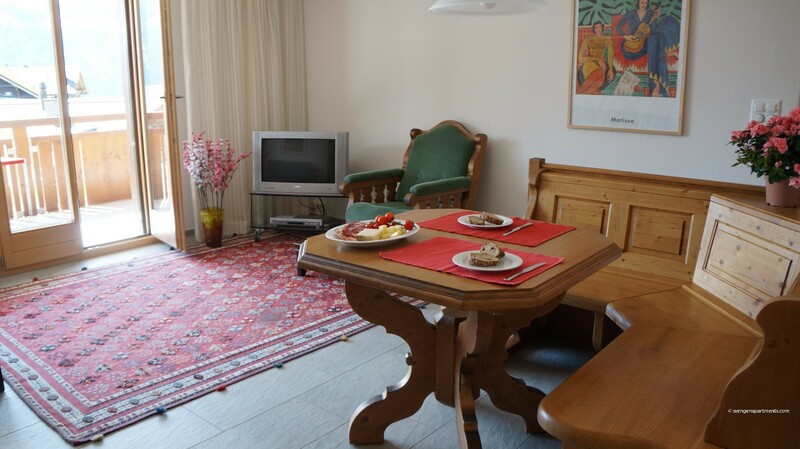 1 TV, DVD, 2nd floor, lift, garden furniture, iron, internet (Wi-Fi), hair dryer, balcony, childrens area, 51 m² property, 65 m² plot, access without stairs, central heating.